Now Accepting Boarders into the New Barn! The long-awaited moment has arrived: we have officially moved horses into the brand new barn at Whistling Ridge Farm. 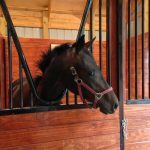 Our 14-stall stable was custom designed by Lauren, from the ground up, to ensure the very best in quality, comfort, and safety for our equine friends. 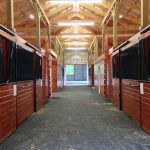 Each of our 12′ x 12′ roomy stalls are furnished with FILTERED automated waterers and interlocking rubber mats covered in a deep bed of fresh pine shavings. Our horse stalls also feature extra-wide (4′) front stall doors with yolks so that everyone can hang their heads out in the aisle to see their friends, and each stall also has a full-sized Dutch door on the back side for the maximum creature comfort, ease of use, and natural light and ventilation. 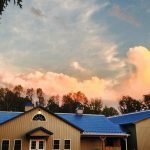 Boarders at Whistling Ridge enjoy a large, secured lounge (complete with full bathroom and shower) and tack room with ample space for saddles, bridles, and other related items. The barn also has an 8-camera digital video security system to provide additional peace of mind. All boarders enjoy full use of our facilities, newly renovated in 2013. 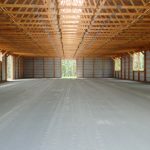 We have a brand new 70′ x 160′ indoor riding arena that can be used for dressage, jumping, lunging, free-jumping, natural horsemanship, and anything else you can think of! 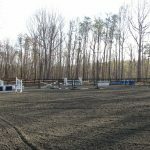 Just outside the indoor, you’ll find our expansive 100′ x 200′ all-weather jumping ring equipped with several different types of stadium show jumps (gates, barrels, etc.). We also have a few cross country obstacles sprinkled throughout our large open back field, which is yet another place we like to ride. The main aisle at WRF features an amazing combination of natural light and ventilation. Lyra enjoys her new spacious stall at Whistling Ridge Farm! today to find out what all the excitement is about! UVA Students & Working Boarders Welcome! And what a GRAND Re-Opening It Was!! 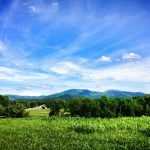 Whistling Ridge Prepares for Its Grand Re-Opening! Time for a new view! Chaiya WRF Crowned Champion at ISR Oldenburg Year End Awards! Winter Clinic Series with Jontelle Forbus Dressage!